Just a quick reminder: The season premiere of Ghost Hunters airs tonight on the Syfy Channel: 8PM CST and then again at 10PM CST. 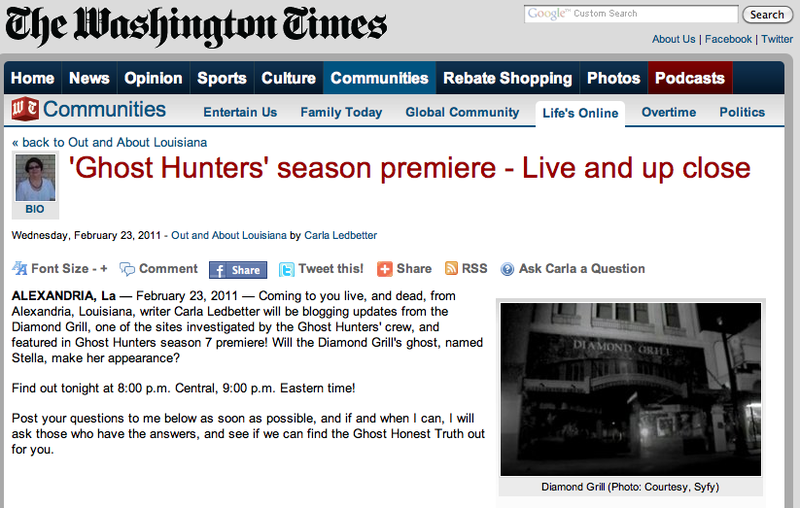 And the episode, titled “Haunted Town,” is exclusively about Alexandria, Louisiana. They visit the Hotel Bentley, Finnegans Wake, and the Diamond Grill, where, hopefully, I’ll be able to live-tweet and/or live-blog alongside Alexandria’s own Carla Ledbetter, who will be reporting for The Washington Times.